Syngenta has hosted whole cohort visits to their International Research Centre at Jealott’s Hill in Berkshire. In their first PhD year, the NexGenAgriChem cohort learnt about agriculture business, in-house inventive processes and examples of how Chemical tools and technologies are currently applied in Syngenta’s agricultural research environment. In their second PhD year, the cohort attended a one-day introductory course, delivered by Syngenta's Patent Attorneys, on IP management, patents and their importance to researchers. Bayer CropScience hosted a 2-day visit to their site in in Frankfurt in March 2016. The cohort was invited to join a series of lectures on the discovery and development of agrochemicals at Bayer. During the visit, Early Stage Researchers were given a tour around the research site and met with young members of staff within the company to provide an opportunity to talk about careers in industry. 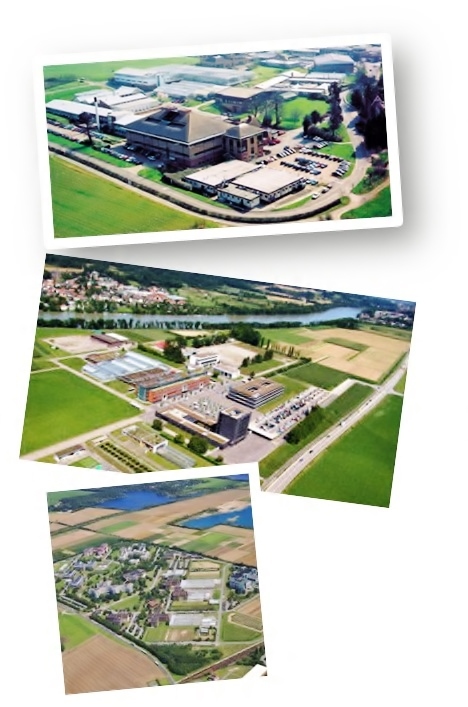 The research site in Stein is a scientific centre of excellence for Syngenta’s Crop Protection research activities. During a visit in June 2017, the cohort were given a tour of the Insect control, Disease control and Chemistry departments, as well as a visit to Syngenta’s Seed Care Institute. In particular, the Early Stage Researchers learnt about Abiotic Stress Management research, Stewardship and Training and Disease Control research.